Dental implants give individuals with missing or damaged teeth the ability to eat, speak, laugh and enjoy life with confidence once again. By restoring one’s teeth to its natural form and function, dental implants can help prevent bone decay, reshape one’s facial structure, and restore one’s ability to eat all the foods they used to enjoy. 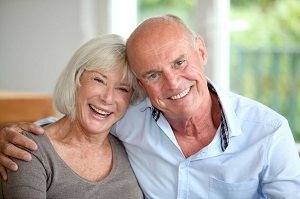 Dental implants are truly changing the way people live. 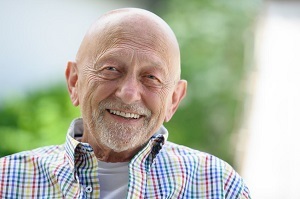 In order to determine if you are the right candidate for dental implant surgery, Dr. Jay Akef and his team of highly skilled dental professionals will first conduct a full dental and radiographic examination of your mouth, as well as go over your overall health history to ensure you are the right candidate for dental implants. At this time, our dental staff is happy to help answer any questions or concerns you may have about dental implants, as well as go over all fees and insurance coverages you need to know. 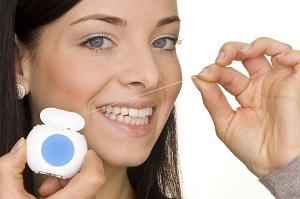 Most people are eligible to receive dental implants, however, some may require more time and treatment than others. For example, those who have been missing teeth for a long period of time may have experienced moderate to severe bone loss in the jawbone, which needs to be regenerated through bone grafting first in order for dental implants to be placed. These pre-treatment procedures take some time to implement, but they enable you to get the permanent solution you need that is well worth it in the end. 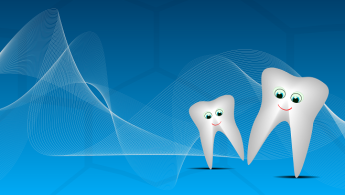 In order to get a virtual blueprint of one’s individual teeth structure, a CAT scan will be taken of the patient’s jawbone. Based on the CAT scan results, your periodontist will plan out your dental implant placement procedure in a way that generates more accurate results, less chair time and minimal recovery time for the patient. 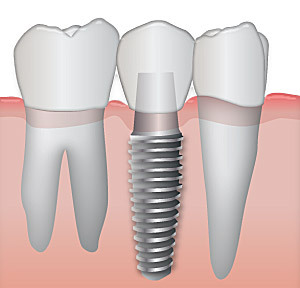 Dental implants require the placement of titanium anchors that replace your tooth root. Your periodontist will surgically implant these metal anchors into the jawbone, which serve as a foundation on which to secure one’s replacement teeth. For most people, the dental implant procedure consists of two surgical procedures: the first involving the placement of the dental implants into one’s jawbone; the second step including the final placement of prosthetic teeth atop the titanium anchors. Although some patients’ bones can handle dental implants at the same time as their prosthetic teeth placement, most people require time for the metal implants to bond with the bone and soft gum tissue before any replacement teeth can be inserted. For three to six months after the first surgical procedure, your dental implants will slowly bond with the jawbone. During that time, you will be able to wear dentures over your implants, while our laboratory technicians design your final prosthetics. Once the anchors have completely bonded to the jawbone, the implants are uncovered and a small healing collar is attached. Your prosthodontist will take an impression of your implant and make the final touches on your new teeth. Once the teeth replacements are completed, your prosthetics are placed over the posts or attachments. The entire dental implant process takes six to eight months to complete, and patients should not experience any disruption to their daily life. If you are interested in learning more about dental implants to see if they are right for you, schedule a consultation with us today!